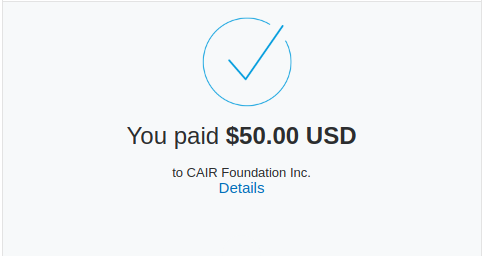 January 31st, 2017 - Effective immediately, all proceeds after cost from the sale of Bedroom Wall Press's critically-acclaimed tabletop roleplaying games will be donated to the Council on American-Islamic Relations (CAIR) in support of CAIR's legal action against the Trump administration's illegal, immoral, and indefensible ban on Muslim refugees. 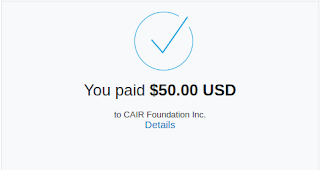 In addition, all of Bedroom Wall Press' books including print works have been made "Pay What You Want," in order to better enable purchasers to support CAIR for as much as their wallets allow and help stop this flagrant and unjust violation of the rights of legal immigrants and refugees. Bedroom Wall Press will continue to donate all proceeds to CAIR until such time as this deplorable and racist executive order is stopped, by whatever means necessary. Please note that there is a minimum amount required for the purchase of print materials, as they incur print costs through DriveThruRPG's print-on-demand service. Bedroom Wall Press is the personal imprint of John S. Berry III, an author and game designer, and the publisher of multiple critically acclaimed roleplaying games, including Hulks and Horrors, a comic game of sci-fi dungeon crawling, and Arcana Rising, bringing urban fantasy and classic fantasy roleplaying together. The Council on American-Islamic Relations (CAIR) is a nonprofit, grassroots civil rights and advocacy organization. CAIR is America's largest Muslim civil liberties organization, with affiliate offices nationwide. Its national headquarters is located on Capitol Hill in Washington, D.C. Since its establishment in 1994, CAIR has worked to promote a positive image of Islam and Muslims in America. Through media relations, lobbying, education and advocacy, CAIR works to make sure a Muslim voice is represented. Through our work, CAIR seeks to empower American Muslims and encourage their participation in political and social activism. Further contact details can be provided on request to verified parties via the methods above.